Driving a car can easily become an unpleasant task to some drivers due to pokey or slow-moving pedestrians or the sudden presence of a volume of pedestrians, parking cars, emergency vehicles, delivery trucks, city buses and taxicabs, detours, road constructions and long traffic signals. overtaking another vehicle in a one lane road. Reckless driving, which is a serious traffic violation in the U.S., is defined in U.S. laws as a display of wanton disregard for road safety and road safety rules. “Wanton disregard,” is described as awareness of the possible risk or harm that one can cause personally and the deliberate act of ignoring such risk or harm. Reckless driving is considered a misdemeanor (if resulting to injury or death, it can be elevated to class 1 misdemeanor or felony, depending on the laws of a state). The punishments usually associated with it are imprisonment and/or fine, suspension or revocation of driver’s license, cancellation of parole, possible deportation and a misdemeanor criminal record. If the offense, however, is committed in Federal territories, such as those located in the state of Virginia, like the George Washington Parkway, military bases, Quantico area, Pentagon area, and other Northern Virginia Federal government facilities, then the penalties will surely be much harsher. The penalties can include a fine that can amount to $5,000.00, up to 6 months imprisonment, suspension of driver’s license and driving privileges, and points on one’s driver’s license. Reckless driving in federal territories is not the only offense considered as a federal crime. As explained by Truslow & Truslow, Attorneys at Law, “Generally, crimes are investigated and prosecuted according to the jurisdiction they take place in. As such, most illegal acts are prosecuted on a state or municipal level. However, crimes that take place on federal property automatically become a case for federal courts, even if they would have been state-prosecuted had the crimes not taken place on federal grounds. For example, federal crimes are not only composed of serious illegal acts like drug charges or financial fraud, but they also include crimes such as robbery, theft of government equipment, possession or sale of government property, and criminal trespass. 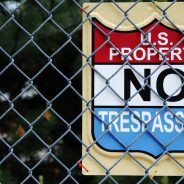 As long as the crime took place on federal property, it can be tried by federal courts and—in some cases—may be prosecuted on both a state and federal level.